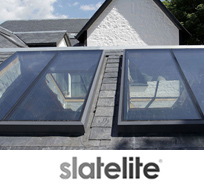 Skylight International give you a less is more feel to your rooflight. Less framework, more light. Architects, builders & developers - Skylight will work with you to achieve the light your require and the design to fit your needs. Please take a look at our gallery, for ideas and examples of real installations. 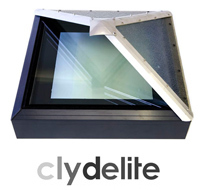 Skylight Internationals extensive range of glass rooflights offer a wider variety for all budgets and individual styles. 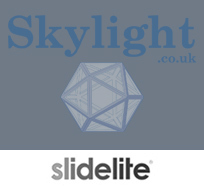 Skylight International Limited is a Glasgow based design, manufacturer and installer of innovative glazing solutions. 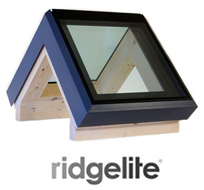 Skylight International Limited has provided quality patented rooflights and glazing solutions for many years, but we are always looking to the future and have extended our range to meet the design, functionality and aesthetically pleasing specifications of our customers. We can provide the solution for your specific needs whether this is to allow additional light into your room, provide ventilation, access your roof or a combination of all of these things. 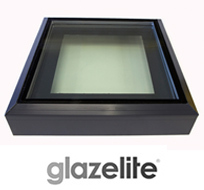 Triple glazed skylight for minimising heat loss. 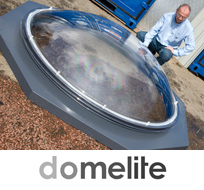 Traditional polycarbonate moulded dome, double or triple skin. 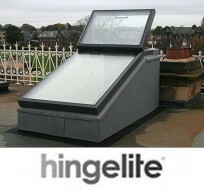 Quality glazed skylight, hinged for easier opening. Slides on track for maximum ventilation or roof access.